Smith has suffered an abdominal strain and been ruled out from the remainder of the tournament. 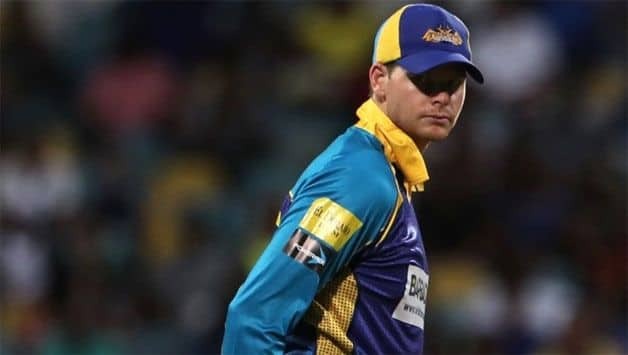 Caribbean Premier League franchise Barbados Tridents have seen the last of their premier batsman Steve Smith this season after it was announced that the former Australian captain had suffered a grade one abdimonal tear and been ruled out from the remainder of the tournament. The information was revealed by Tridents captain Jason Holder before their fixture against St. Lucia Stars on Sunday. Smith, who has scored 185 runs from seven innings and even contributed with the ball taking three wickets including 2/19 against Jamaica Tallawahs, has flown back home to receive treatment, as mentioned by Tridents head coach Robin Singh. 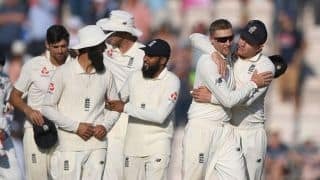 “He had a slight tear and he had to go back, so it’s a really unfortunate situation,” Singh said. 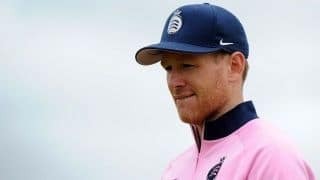 The injury however, takes about seven to 10 days to heal, which means that it should not jeopardise Smith’s return to Premier Grade Cricket starting September 22, where he is scheduled to play for Sutherland. In his best performance of the season, Smith had played a crucial role with the bat scoring 63, helping his side to a narrow two-run win over Tallawahs. 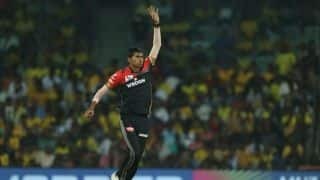 Smith, who is currently serving a 12-month suspension following his involvement in the ball tampering controversy that broke out in March, was allowed to participate in the CPL as a replacement for Bangladesh allrounder Shakib Al Hasan. The injury promises to serve a huge blow to the Tridents who are at the bottom of the pile with just two wins from eight matches.